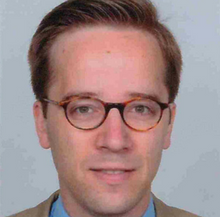 Georg Ringe (University of Hamburg, Germany) is a Professor and Director of the Institute of Law & Economics at the University of Hamburg. Between 2012 and 2017, he was professor of international business law at CBS. He also teaches at the University of Oxford as a visiting professor on a continious basis. His research focuses mostly on European and global aspects of corporate and financial law. Georg Ringe is the editor of the Journal of Financial Regulation, which has been published with Oxford University Press since 2015. He has advised the EU Commission and European Parliament on the issue of European company law, comparative corporate governance, capital market law, financial markets, insolvency law, and private international law.